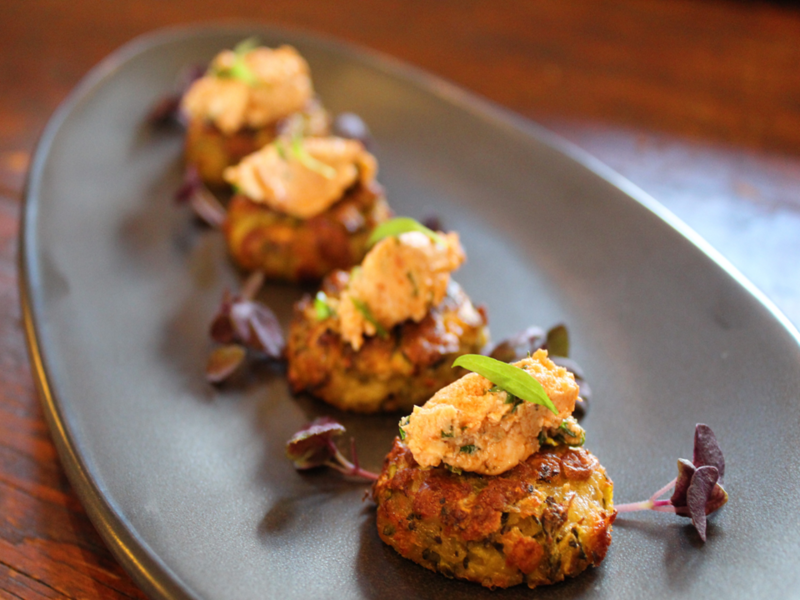 Our canapés are handcrafted by our team of professional chefs from the finest local and New Zealand- wide ingredients. You can select your own canapé menu from our extensive menu, or ask Lucy and her team to create a menu for you and your guests. Our canapés are perfect for your post-wedding ceremony with a glass of bubbles or, to replace the evening meal during a corporate event 3-hour cocktail function, they can be served in conjunction with our Stand ’n Fork Menu. Our sit down menus offer many different options to suit your tastes and occasion; from a 2 course corporate lunch on location to a 6 course wine dinner at a private residence and everything in between. 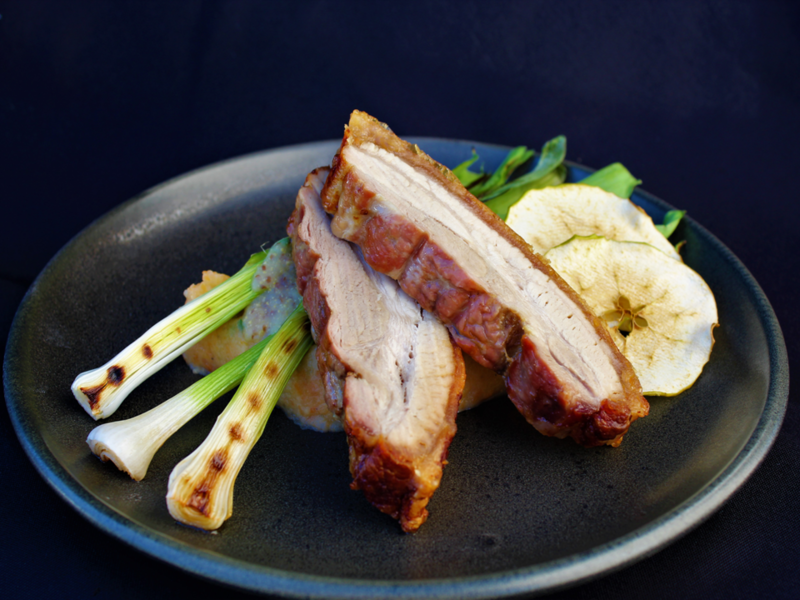 Our menus reflect Central Otago’s finest produce focusing on highlighting the ingredient itself, and giving your guests a chance to appreciate where they are even more. Our table banquet menus are a great way to dine if you are celebrating a wedding, anniversary or a special birthday party. They provide you and your guests with a wide range of choice and plenty of food to share, with our service team replenishing the platters as you go to ensure complete satisfaction. Our team finds the table banquet menu creates interaction between your guests; sparking conversation on the cuisine which gets the party started. 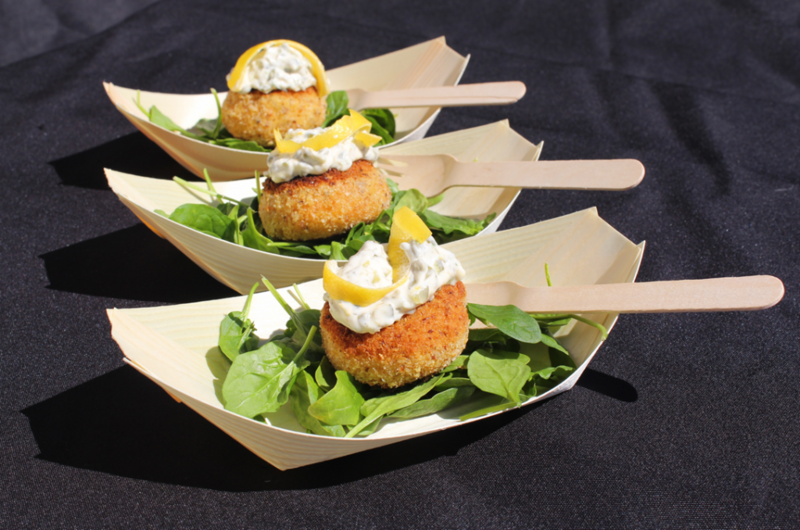 Our handcrafted morsels are created to be easy to eat while standing and enjoying your beverage of choice. This is a perfect menu for a cocktail evening; whether you are launching a new product or service, celebrating a special birthday or hosting a wedding with a point of difference. Lucy and her team will assist you in putting together your menu; from delicious canapés to start moving on to tapas and then our petit fours desserts to finish for an evening to remember. Our handcrafted sweet and savoury treats are created for any occasion and can be served with either tea and coffee, our famous Mocktails or a glass of bubbles. Lucy and her team will work with you to create a menu to suit your special occasion. 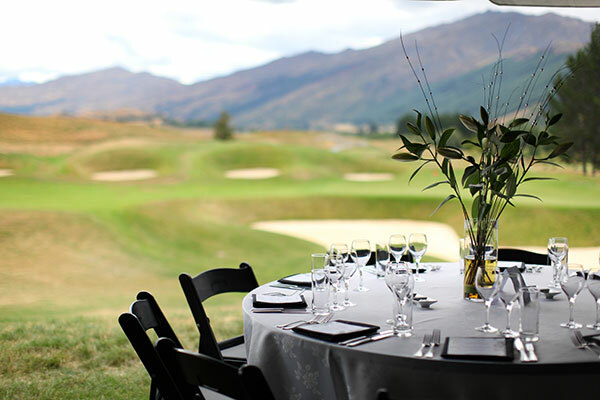 Aspiring Catering offers 3 beverage packages which include local Central Otago wine and craft beers. We also offer a large section of Mocktails and signature beverages. Depending on the venue as the client we are also happy for you to supply your own beverages. 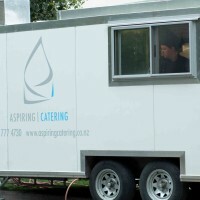 At Aspiring Catering we understand that all aspects of your corporate event are a reflection of your company. With that in mind we provide the upmost in professional, high quality service. Whether you are planning your wedding to be a black-tie affair or your guests are expected to be barefoot and in shorts, we are here to make planning your wedding day seamless and fun. Having a professional chef come to your home or holiday accommodation to cook a meal for you and your friends is a wonderful experience. It is like a mini holiday, or at least that is how we at Aspiring Catering see it. 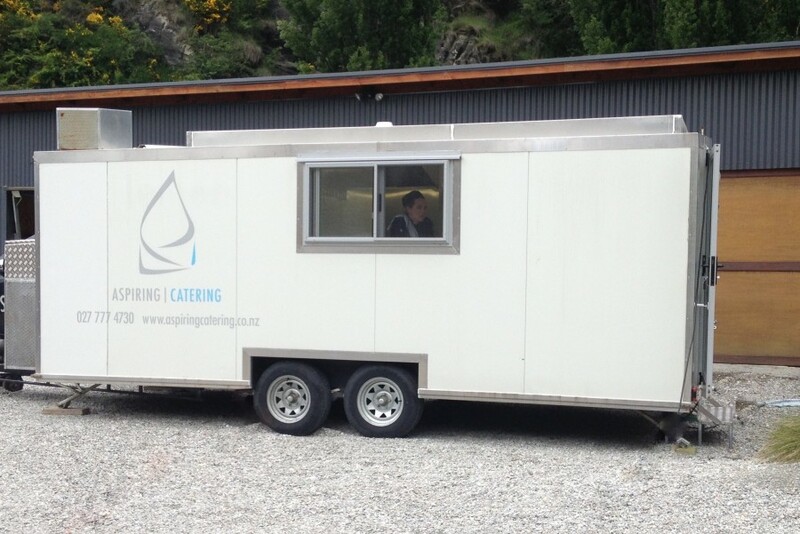 Our mobile kitchen enables us to travel around to all sorts of different locations during the day; from filming in Glenorchy to the Shotover River for an afternoon lunch. From 20 to 100 plus, we have got your catering needs covered. From christenings to engagement parties and birthdays to anniversaries (and all the holidays in between); there are many reasons to gather your friends and celebrate. We understand that a funeral is a celebration of a loved one’s life and yet a difficult time, which is why we go to great lengths to make the lead up and day as easy as possible when it comes to your catering requirements. Aspiring Catering believes in sustainable, environmentally friendly catering using hand-picked, local and organic products whenever possible. With only the best ingredients Lucy’s cooking style is designed to highlight the ingredient itself; giving our guests the chance to appreciate where they are even more. We cater to all diets and can accommodate any dietary requirements. With our mobile kitchen we are also able to cater in a variety of locations. In addition we can help with other services such as, hiring a photographer, arranging transportation, event planning from start to finish, venue selection, flower providers, other professional industry contacts, and hiring of tables, chairs, linens etc. We do not just provide the food for your event, we create an experience that you and your guests will love and remember. 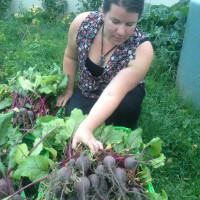 Lucy Weatherall grew up in the Deep South on the family farm with both her parents loving to cook. Witnessing the work on the farm she developed an early appreciation of the land, the food, and all that goes to making a beautiful meal. In 1999 Lucy and her family moved to Wanaka and she fell in love with the area. 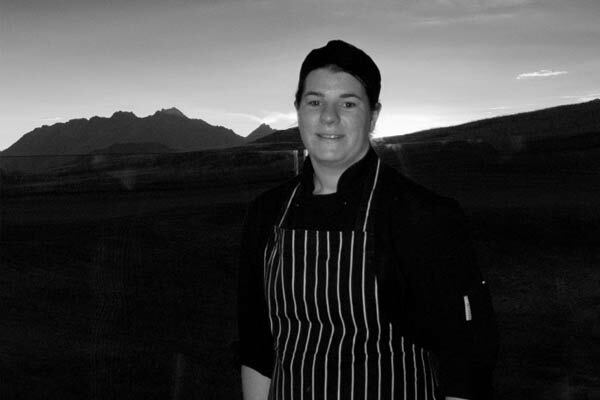 After finishing culinary school she worked at Wai Waterfront restaurant in Queenstown, followed by the Mediterranean Market, and finally she ended up as the executive chef at The Hills, a private golf course owned by Michael Hill, which annually hosts the New Zealand Open. For Lucy and her husband Andrew, starting Aspiring Catering was the natural next step. Lucy is the direct client liaison for all events ensuring that they are completely prepared for all aspects of the event. Lucy makes time to meet with the clients in person if possible, or converses with clients in the earlier hours of the morning (when catching up with her London based clients) and late in the evening (when chatting with her local and Australian based clients). Lucy and Andrew have a real hands-on approach and enjoy every event including all the challenges that come with location catering. 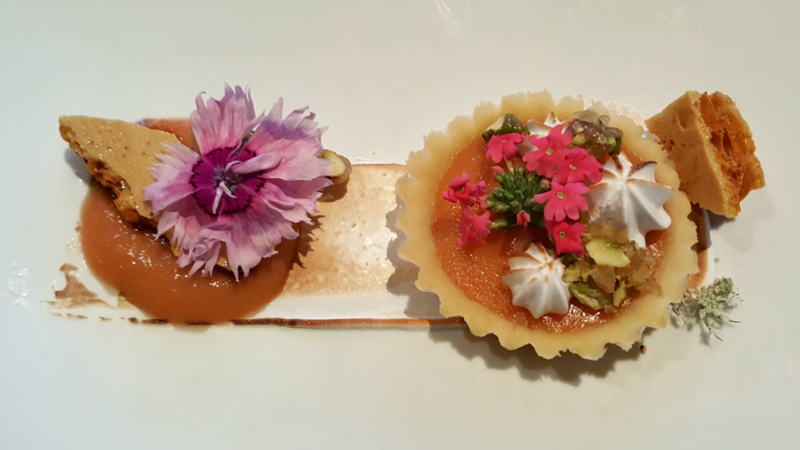 Lucy and Andrew are present at all Aspiring Catering events to see the event from start to finish and ensure the clients’ vision of the event comes to fruition. Lucy’s passion for food and wine in the Southern Lakes and Central Otago region are a true testament to Aspiring Caterings’ success. 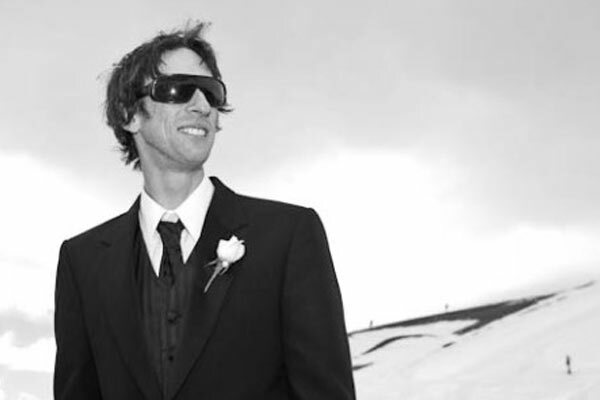 Andrew Weatherall grew up on the Hibiscus Coast and moved to Wanaka in 2001 to peruse his passion for the mountains. Lucy and Andrew met while completing a ski instructor’s course at Cardrona Alpine Resort. Andrew has since been by Lucy’s side supporting her passion for food and the hospitality industry. Andrew plays an active role in the business; managing accounts, moving the mobile kitchen unit to a wide range of venues and location sites, and managing the movement of equipment to each event. Andrew and Lucy are passionate about the outdoors: loving to ski, mountain bike and anything else that can keep them exploring. Andrew and Lucy bring that passion to each of their events providing a truly unique, local experience. Our team are all trained in-house by Aspiring Catering & have previous experience in the hospitality industry. 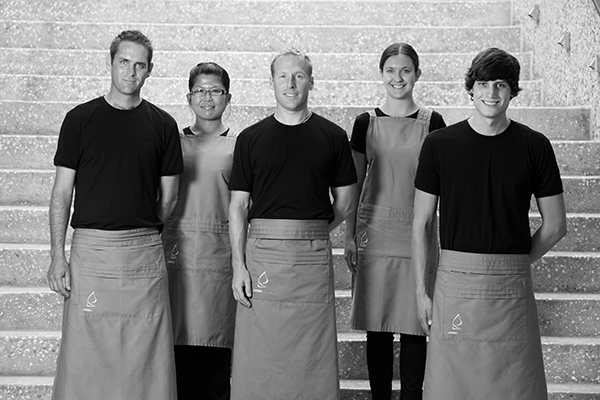 Our team members are enthusiastic and passionate about Central Otago’s food and wine. Aspiring Catering chefs all hold New Zealand recognized cookery qualifications. The team is made up of individuals who are extremely excited about food and enjoy location catering. One chef said “I can’t believe each event, I look out the mobile kitchen window at another spectacular view”. Our chefs follow the food control plan to uphold the highest food handling procedures. Our service team have great knowledge of the Central Otago area and have participated in our training sessions learning about the hand-picked, local and organic produce that our chefs source and cook with. Our service staff love ensuring the guests have what they desire before the guest even knows it. 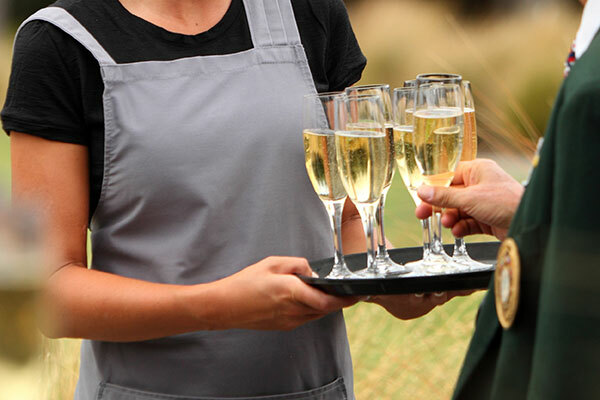 The service team receive continuous feedback of “they are so attentive and yet extremely unobtrusive” The chefs and service team also attend training sessions each year learning about the local wines and the latest vintages at each of the wineries where we provide catering. Our team’s goal is to ensure you and your guests have everything you need for a fun and successful event.